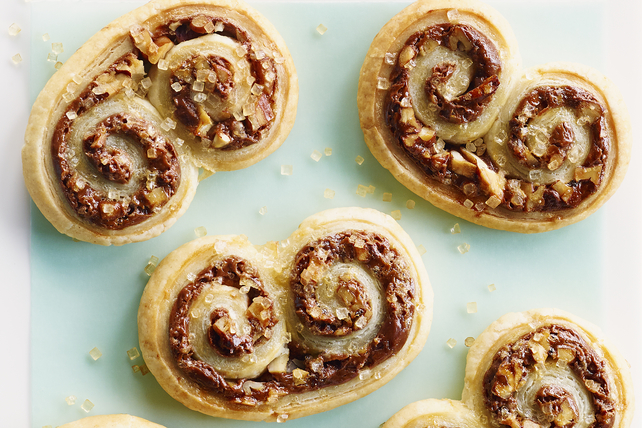 Puff pastry, PHILADELPHIA Cream Cheese and pecans bake up crisp and light, for the easiest holiday cookies you’ll bake. The shaped cookie dough can be frozen up to 1 month before brushing with egg, sprinkling with sugar and baking as directed. No need to thaw first. Prepare using your favourite nuts. Or, you can omit the nuts if desired. Prepare using coarse sugar or golden brown sugar.